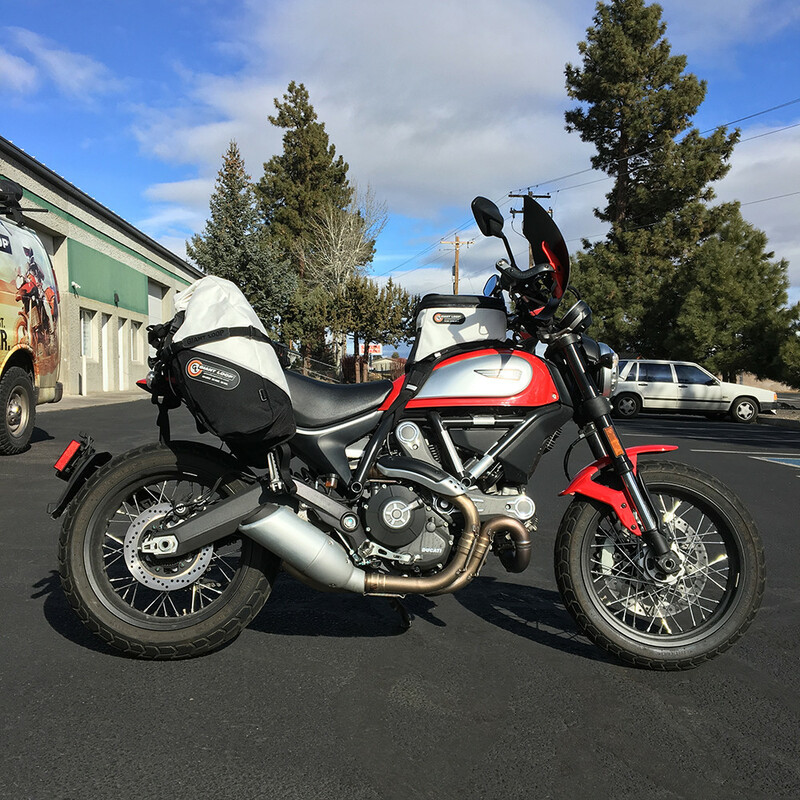 We’ve outfitted this Ducati Scrambler for a weekend, week or even extended long haul adventure motorcycle travel with our Giant Loop adventure proof packing system of soft luggage for motorcycles. 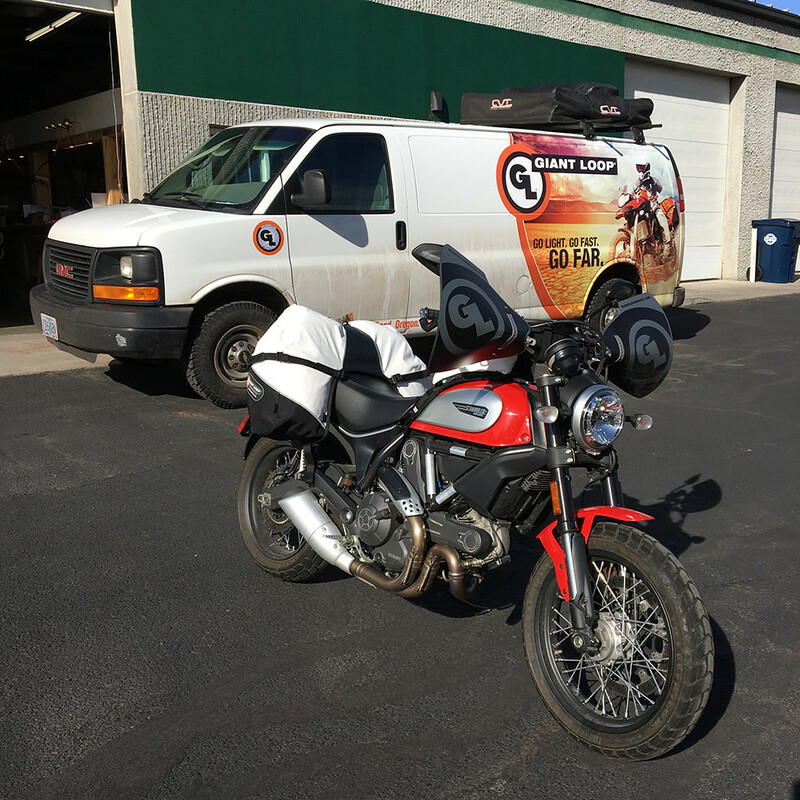 Designed to fit virtually any motorcycle equipped with passenger pegs, the Great Basin Saddlebag mounts on the passenger seat, anchored to the passenger peg mounts and the rear “fender” assembly – no luggage racks, mounts or braces required. The Fandango Pro Tank Bag keeps smaller items like phone, camera, wallet and other essentials handy, while the Zigzag Handlebar Bag stores other small items within easy reach. We’ve added the Bushwackers Hand Guards, which strap over rigid deflectors to protect hands and controls from rain, cold, mud and brush. All it needs is a skid plate . 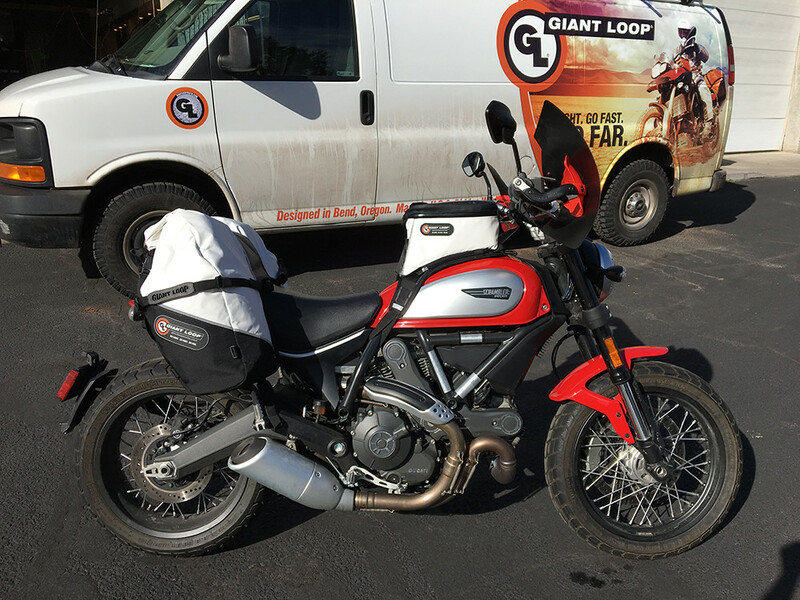 . .
Weighs a fraction of other motorcycle soft luggage designs based on Giant Loop’s Great Basin Saddlebag, such as the Mosko Moto RECKLESS 80L SYSTEM (V2.0) – also trimmer, less complicated, fewer straps, cleaner, more minimalist, rugged and durable design, proven world wide since 2008.